No One Knows More about Chimney Repairs then Minnesota Chimney Repair. We repair brick chimneys, stone chimneys, wood chimneys and stucco chimneys in the greater Minneapolis area using our skilled staff of experienced tradesmen. We employ carpenters, masons, stucco and sheet metal experts to repair any conceivable chimney malady you can imagine. Trust us, we have seen it all. 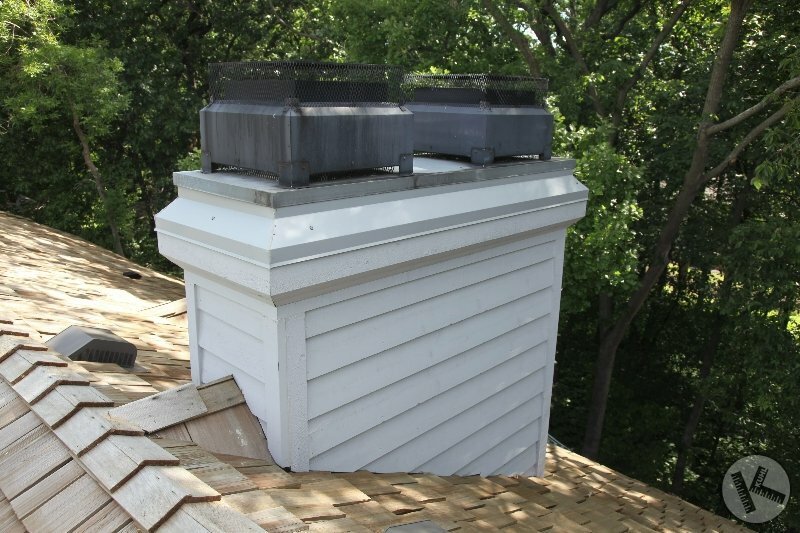 See below for some of the more common types of chimney repairs our experts do in the twin cities. Nothing evokes the sense of charm of a stone chimney. 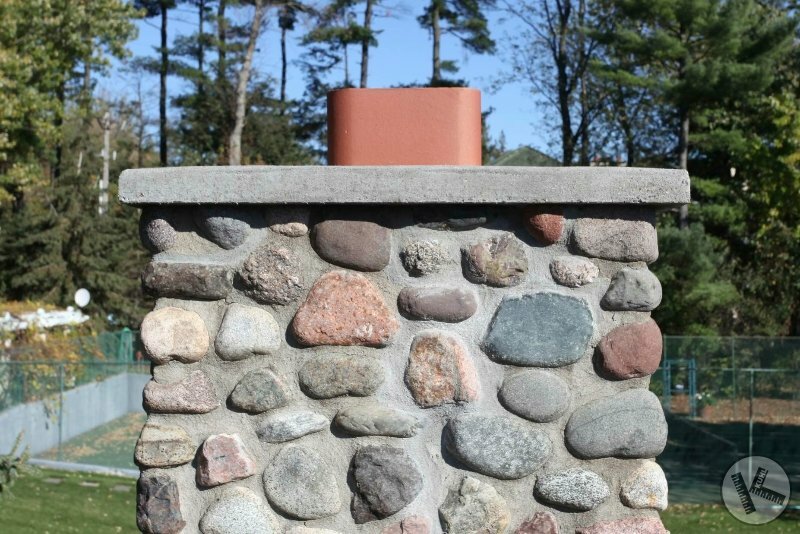 Whether it’s a natural or cultured stone chimney, Minnesota Chimney Repair is the team to choose when it needs chimney repairs or reconstruction. Minnesota Chimney Repair has repaired hundreds of brick chimneys in the greater Minneapolis area over the past 25 years. We have a particular skill for matching existing materials in situations where other companies are stumped. 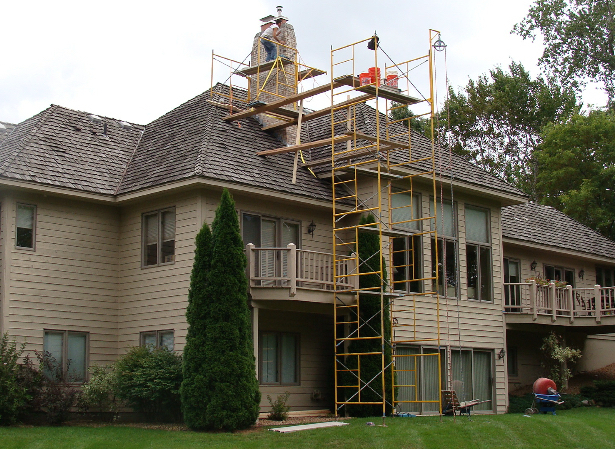 Dealing with stucco chimneys requires a level of expertise beyond that of single trade contractors because often the best fix is to use a combination of sheet metal and concrete to repair failing stucco chimneys in Minnesota. Wood chimneys are quite common in Minnesota. The most common forms of damage to wood chimneys in Minneapolis and surrounding cities is rot or animal damage. We repair animal damage to chimneys all the time. We also replace wood siding with more resilient materials such as Hardie Artisan. 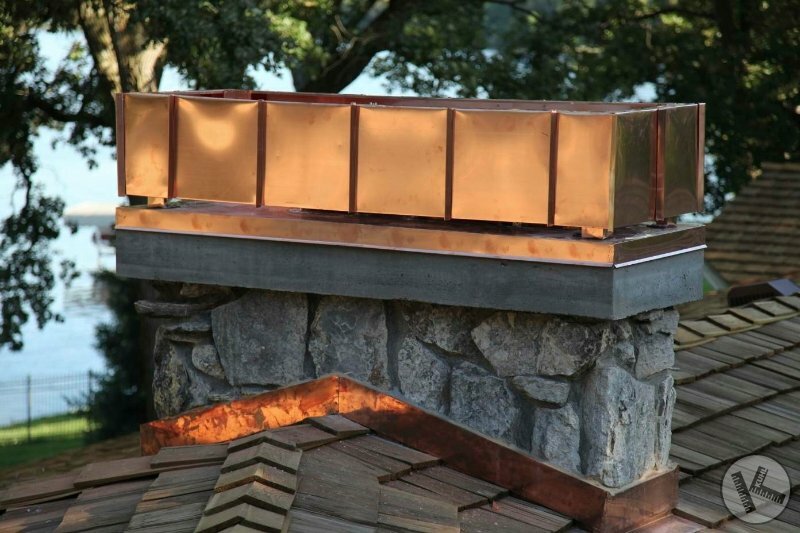 Minnesota Chimney Repair uses sheet metal in a variety of ways to address chimney issues. Some of our chimney sheet metal work is related to pure aesthetics, some is about addressing chimney leaks and is about both. 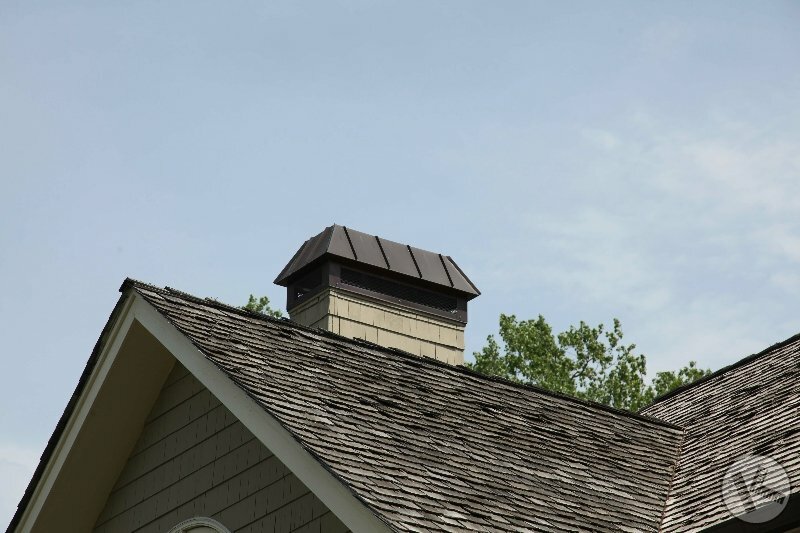 Our chimney sheet metal team is the best Minnesota has to offer. In the case of chimney flashing problems in Minnesota, the culprits usually fall into a few basic categories: Saddles, steps and kickouts. 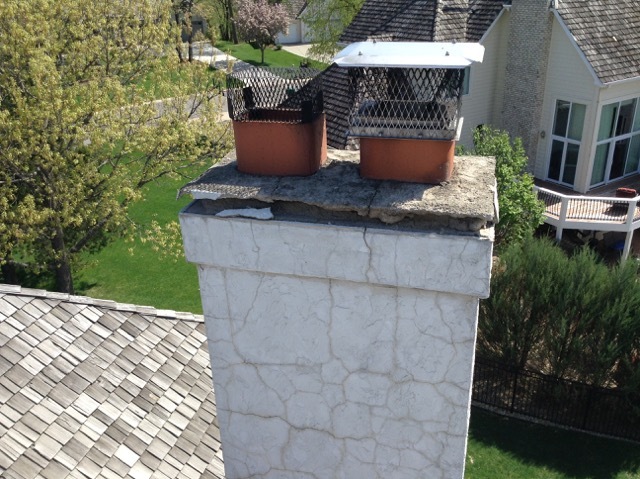 When chimney flashings fail, catastrophic results can occur. The chimney cap is the most exposed part of chimneys in Minnesota. It is subjected to the most extreme forms of damage, often through the freeze-thaw cycle. 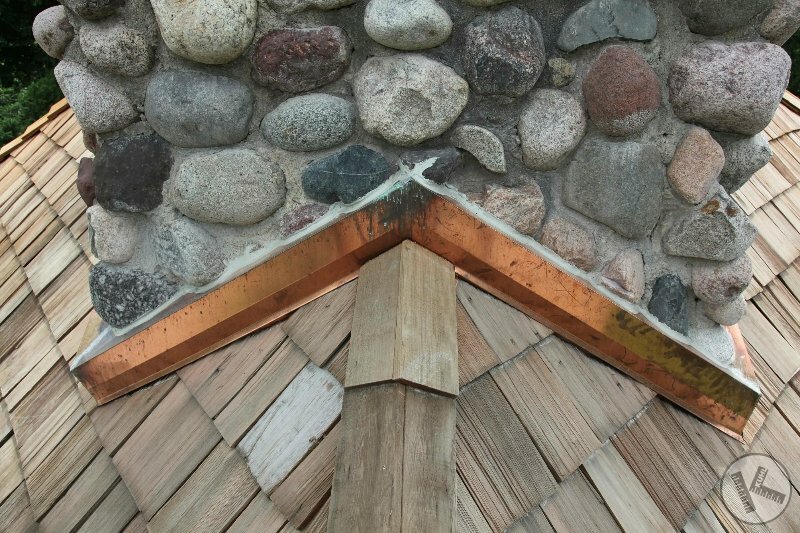 Chimney caps in Minneapolis and surrounding towns should all have an overhang to prevent damage from the freeze thaw cycle. 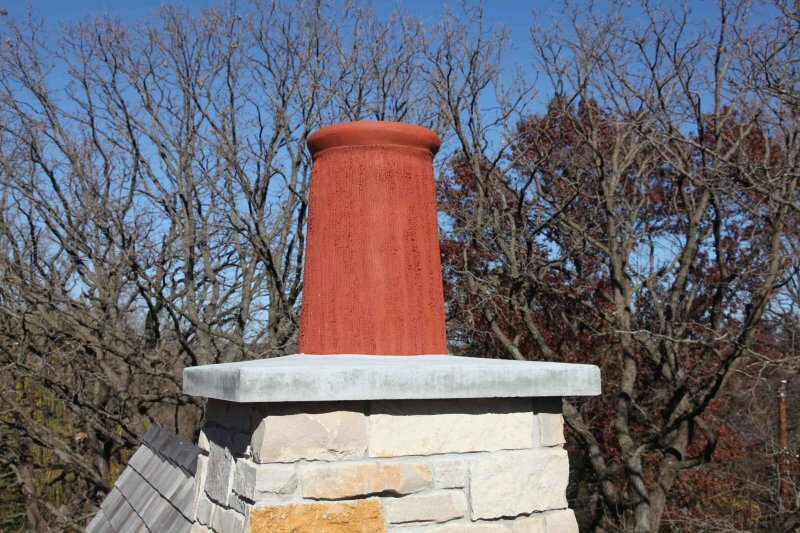 We design and install clay and copper chimney pots in Minneapolis and surrounding communities. Chimney pots are a nice architectural touch to just about any home. That said, they are not something one simply slaps on a chimney. They require a fair amount of design and logistic consideration in order to ensure proper chimney performance.